Jan is an artist who captures an accurate scientific record of the flora and fauna of a unique landscape, in all its diversity, as well as capturing the beauty and spirit of each individual plant and bird. Cleveland artist Jan Acton’s love of the peace, beauty and tranquillity of the Australian bush inspired her to paint the wildflowers that grew on her Sheldon property. In the year 2000 she decided to mark the historic year with a nature diary to complement her paintings. 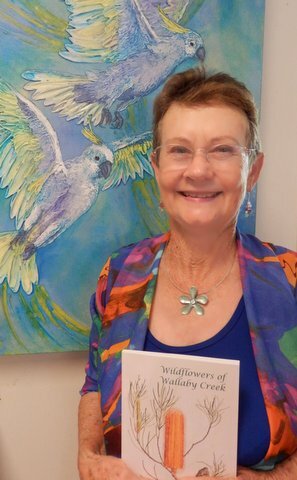 Wildflowers of Wallaby Creek consists of the nature diary, complemented with beautifully illustrated watercolour paintings of the wildflowers. The paintings capture the delicacy and fragility of the environment they inhabit. After completing that project, Jan decided to explore other media. In an endeavour to depict the colour, movement and exuberance for life of Australia’s amazing parrots, she discovered acrylics and coloured inks. Vibrancy and Delicacy is an exhibition of 16 watercolour wildflower paintings and 16 acrylic and ink parrot paintings. Some of the wildflowers included in her book are Geodorum densiflorum or Shepherds Crook orchid, Spiranthes sinensis or commonly called Ladies tresses and Gahnia aspera or A saw sedge, to name a few. An exhibition by Rod Brownsey. Celebrating the simple joys and generous loving care the Agnew Family brought to the inmates of the Benevolent Asylum at Dunwich.